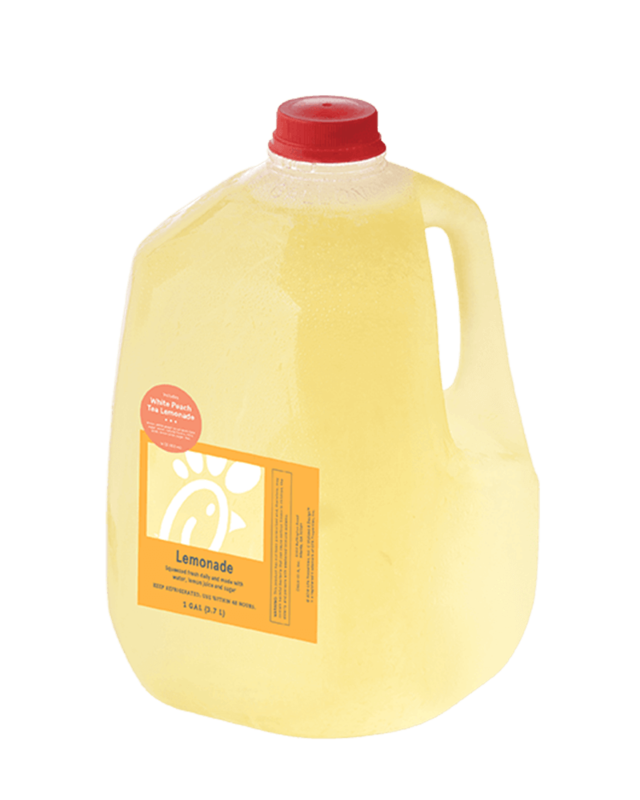 A vibrant citrus combination of our classic freshly-prepared Chick-fil-A® Lemonade and freshly-brewed Unsweetened Iced Tea, blended with natural peach flavor. Also available with combinations of Chick-fil-A® Diet Lemonade or Sweetened Iced Tea. water, white peach syrup (pure cane sugar, water, natural flavors, citric acid), lemon juice, sugar, orange pekoe and pekoe cut black tea.